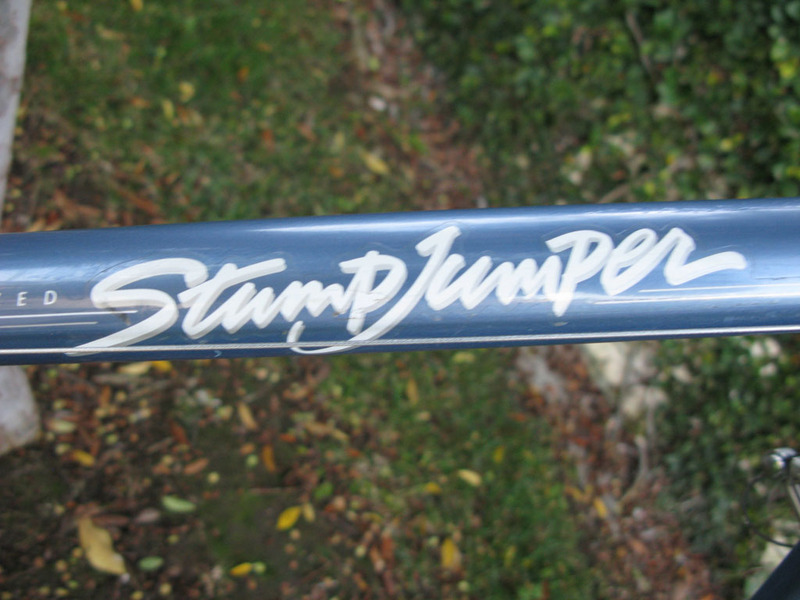 I recently acquired a piece of mountain bike history in the form of a 1983 Specialized Stumpjumper Sport. 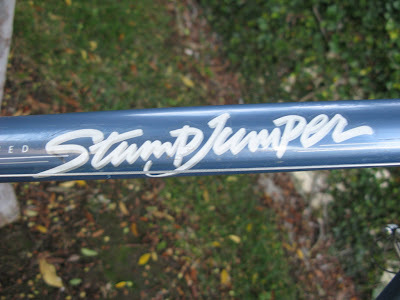 The Stumpjumper first appeared on the scene in 1981/82 and is arguably the first mass produced mountain bike in the world. 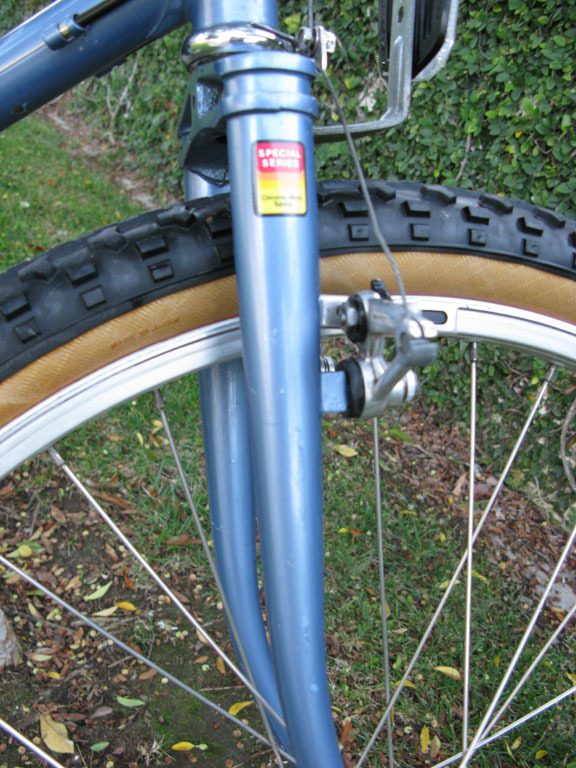 This specific example was built in October 1983 and is therefore most likely an 1984 model year bike and is in that fashion is a lugged steel frame. 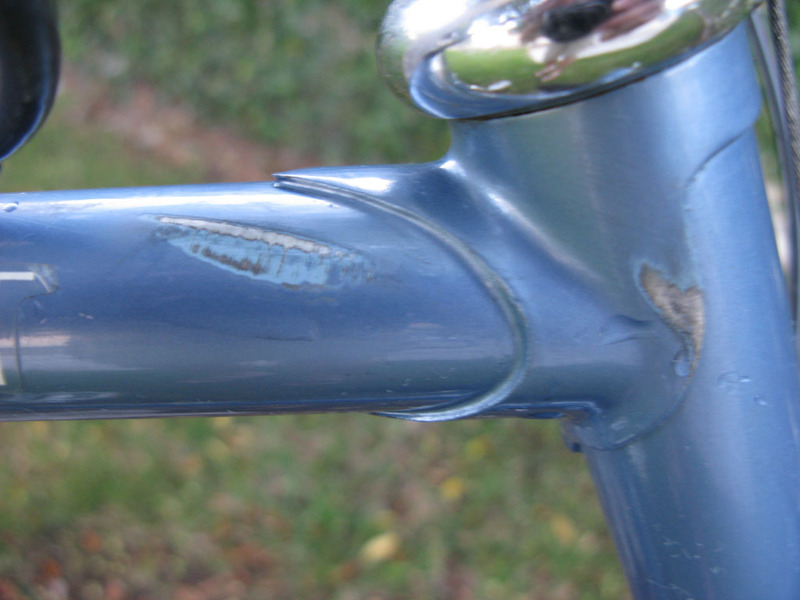 The first few years of production also saw TIG welded frames, which are now a little more desirable. 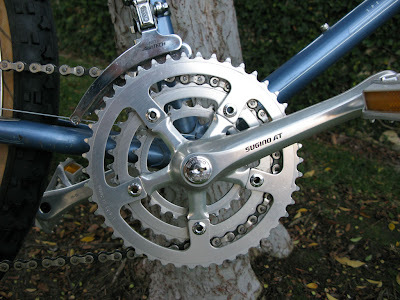 The components are virtually entirely original with only a few wear items replaced out of necessity. The specifications for the Stumpy Sport include Suntour Mountech Drivetrain with thumbshifters, Sugino AT cranks, Specialized hubs, bottom bracket and headset, Shimano brakes and pedals, a bullmoose bar and a leather Avocet Touring saddle. 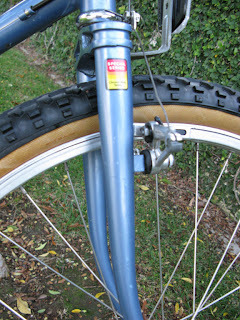 For a nearly 30 year old bike this one is in pretty good condition, it was clearly used but also obviously cared for. There are some paint scrapes and chips, so it's definitely not a museum piece but is in pretty amazing shape otherwise. 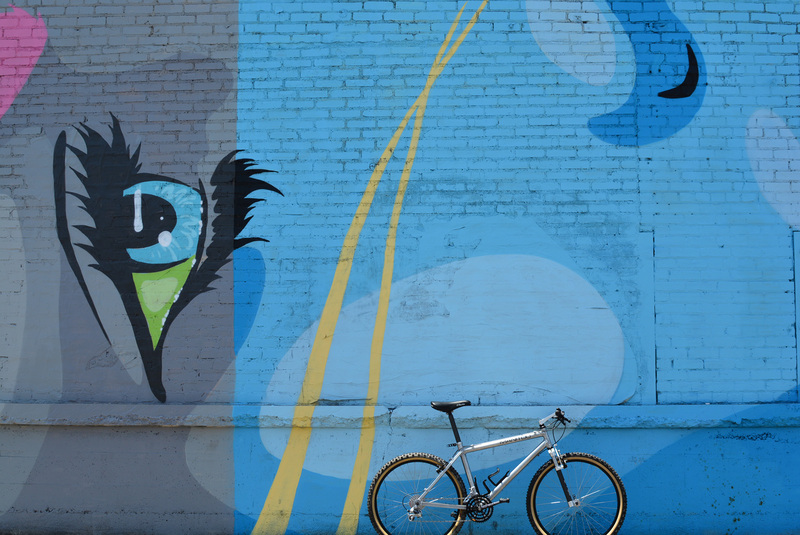 The bike is a treat to ride, I can't help but feel fortunate to have the opportunity to own even for a short period of time a small piece of history and see what it was like to ride mountain bikes before disc brakes, full suspension, index shifting and lightweight frames. 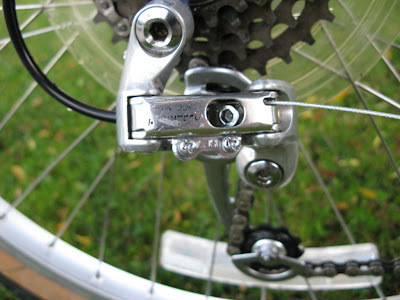 All the components perform flawlessly, brakes stop just like they should, all of the bearing components were in great shape. I overhauled the headset and pedals and they feel like new. I will be auctioning this bike on eBay and hope that it finds a nice new home with an owner that occasionally stretches it's legs out on the trail. Hey just curious what you sold this bike for? Man that was forever ago, I think it was $300 or less. Why, do you have one?